Our finely tuned team of experts are here to work with you and get the job done leaving you with as little stress and disruption as possible. Renov8 Builders are Whitby's specialist building and property maintenance firm. With years of experience, our expert builders are here to work with you and get the job done with as little stress as possible. Based in Whitby, North Yorkshire we can undertake projects of all kinds. From new builds and complete renovations through to property maintenance jobs, we've got the capacity to take on projects of all kinds. Renov8 Builders was founded and is run by highly experienced tradesman Wayne Fletcher. 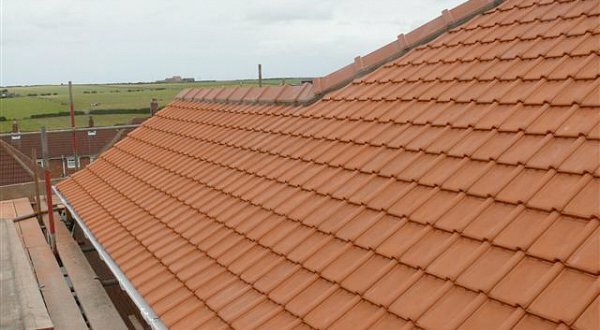 ​On this project we completely re-roofed a semi-detatched property in Whitby. Ensuring your roof is in good condition is vital to maintaining the value of your property - as any leak could result in further damage to your home which would not be so easy to repair. We also have lots of exerpience renovating older properties - undertaking everything from brick and block work through to plastering, windows, patios and finishes. From roof and chimney repairs to fully re-roofing a property, replacing windows and doors or adding conservatories we can help you maintain your property's value and help you make better use of the available space. Let Renov8 take care of your building project from start to finish - including professional tiling and plastering services. Or add a patio and benefit from multi-functional outside space. We're happy to undertake long-term maintenance projects.